The Terrier Hockey Fan Blog: McAvoy signs with Bruins; Quinn looks to the future. McAvoy signs with Bruins; Quinn looks to the future. 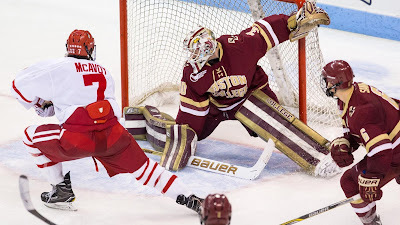 As anticipated, sophomore defenseman Charlie McAvoy will give up his final two years of eligibility after signing an amateur tryout contract (ATO) with the AHL Providence Bruins. An entry-level NHL contract with Boston will begin with the 2017-18 season. The right-shot blueliner from Long Beach, NY was BU’s top-scoring defenseman with 26 points (5G, 21A) after a 25-point freshman campaign. He also was an alternate captain on the gold-medal winning US squad at the 2017 World Junior Championships. 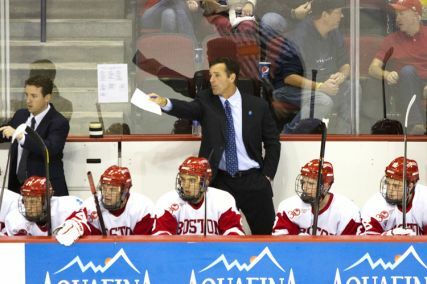 His final point as a Terrier was the double-overtime game-winner against North Dakota in the NCAA regionals. At Providence, McAvoy—Boston’s first-round draft pick last June— will be reunited with his former BU defense partner Matt Grzelcyk, who is completing his first pro season. He's expected to make his debut on Saturday. Further comments from Quinn can be found in Sigal’s Twitter feed. Stream Ice hockey world Championship 2017 online, which is starting from 5th May 2017. 16 teams participate in this championship and fans could enjoy 64 matches.